Transportation stocks are sending cautionary signals, and exchange-traded fund investors are taking note. Investors pulled US$108 million from the iShares Transportation Average ETF, ticker IYT, on Monday -- the most for any single day in seven years. The outflows came as the ETF’s underlying index, the Dow Jones Transportation Average, continued its downward spiral, punching through 50-, 100-, and 200-day moving averages. Take FedEx Corp., for example, which makes up 10 per cent of IYT. The shipping company has fallen about 30 per cent over the last year, and new hurdles are arising. The company cut its earnings outlook last week, citing cooling global demand amid the U.S.-China trade war and Brexit uncertainty. The underperformance of transportation stocks is notable, especially for believers in the century-old Dow Theory, which purports that moves in industrial and transport stocks must be confirmed by one another to be sustained. 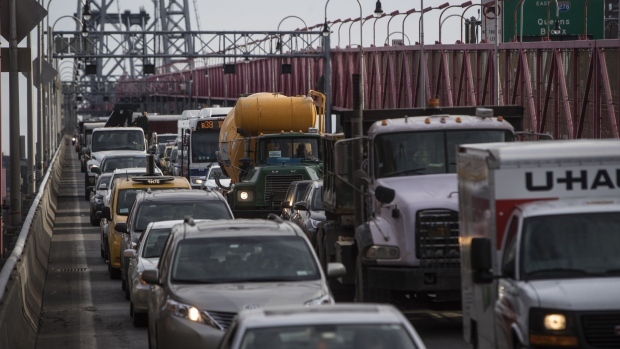 The Dow Jones Transportation Average is down more than 3.5 per cent this month and has underperformed the Dow Jones Industrial Average five of the last six weeks. There is a silver lining amid the warning signal. The transportation index rebounded 0.7 per cent Tuesday, while the industrials climbed 0.9 per cent.